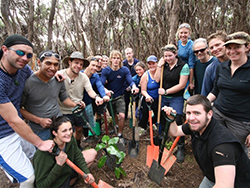 As a Study Abroad student at AUT you can experience the outdoors in the clean, green environment of Aotearoa – New Zealand. You can choose papers (courses) from AUT’s sport and recreation programme and combine them with papers from other AUT majors. Examines the key leadership principles (of self and others) needed to effect change in the context of sport and the outdoors. Includes a three-day journey. Activities include hiking, sloop-sailing, small boat sailing, and sea kayaking. Locations include Tongariro National Park and the Hauraki Gulf. Examines teaching and leading in both individual and team environments using a reflective, person- centred approach. Focuses on development and its impact on determining appropriate teaching and coaching pedagogy. Develops understanding of the mountains and bush settings as places for recreation, education and personal growth. This is delivered as a two-week block course in Feb prior to Semester 1 (Calendar Weeks 7 and 8, or 12-23 February 2018). This includes a two-day preparatory hike in the Waitakere Ranges in the first week and a 5 day Mountain and bush journey in the second week. 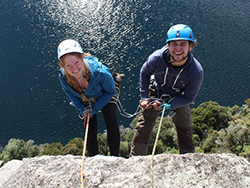 Provides an opportunity for students to apply their knowledge and gain industry experience within a sport or recreation organisation in New Zealand. Students are required to negotiate and develop a learning contract and undertake a range of work activities with the selected organisation. Students will analyse the structure and activities of the organisation and critically reflect on their experience. 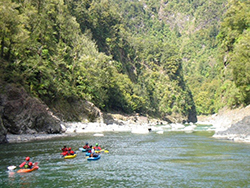 An introduction to the sport and recreation industry in Aotearoa/New Zealand. Examines the roles and relationships of key sport and recreation organisations and sectors. Develops understanding of lake and river environments as a places for recreation, education and personal growth. This is delivered as a two-week block course in the September mid-semester break. (Calendar weeks 36 and 37, or 3-14 September 2018 ). This includes two three-day field trips. One in the first week which will be lake based (canoes) and the other in the second week river based (kayaking). Develops understanding of the coastal and marine environment as a place for recreation, education and personal growth. 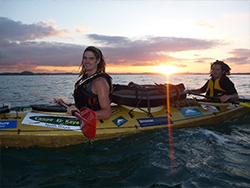 This will have preparatory lectures and workshops in the second half of Semester 2 with a five-day journey in Academic Week 15, 5-9 November (likely to be a mix of sea kayaking and sailing). You can apply online for the Study Abroad programme.